The 2017 Honda CR-V is another Honda model you can feel confident taking on the road thanks to its excellent safety features. With innovative driver assistance features and intelligent active safety technologies, you’ll feel confident as you commute from Boulder to Denver with your loved ones. Its design was made with you in mind — and its passive safety design passes earned this SUV high safety ratings. Read below before exploring its safety features in person today at Fisher Honda! Working hard to keep you safe, the active safety features of the new Honda CR-V monitor your performance to activate technologies when needed to help bring you to a complete stop and avoid accidents. Honda Sensing: This package of driver assistance features includes Lane Keeping Assist System, Adaptive Cruise Control, Collision Mitigation Braking System, and Road Departure Mitigation System. Vehicle Stability Assist: Monitoring the movement of all four wheels, this technology distributes braking power or reduces engine power where needed to help you maintain control. Multi-Angle Rearview Camera: With Dynamic Guidelines, you’ll have a better picture of exactly where the vehicle is headed when you’re in reverse so you don’t hit a nearby vehicle. From grille to taillights, the Honda CR-V was designed to protect you and your family from injury in the event that an accident occurs. ACE Body Structure: Designed to distribute energy from an impact away from passenger zones, this body design helps give the Honda CR-V its renowned passenger safety. Full Airbag Protection: Advanced front airbags, SmartVent front side airbags, and side curtain airbags with a rollover sensor deploy where a passenger is seated when an impact occurs. Child Protection: Lower Anchors and Tethers for CHildren (LATCH) allow you to secure child seats while rear child-proof locks help give you peace of mind. The new Honda CR-V is here for you to explore its safety features and more. 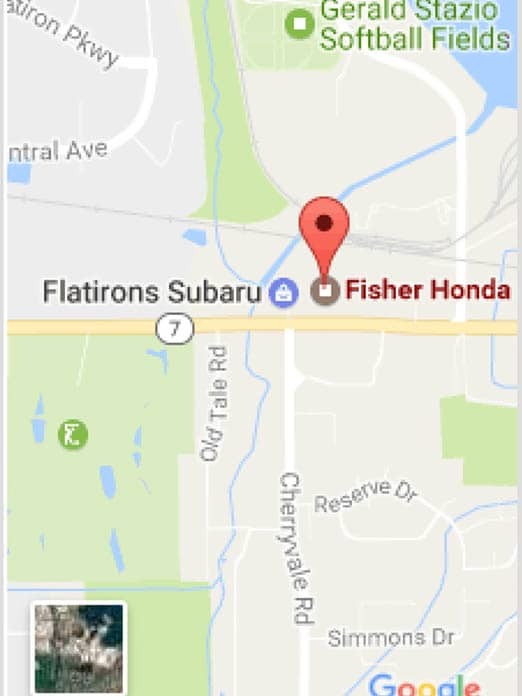 Come meet us at Fisher Honda, located at 6025 Arapahoe Road in Boulder, CO, to find out how you can finance a new SUV. Speak with a sales specialist to make an appointment or have any questions answered by giving us a call at (303) 245-6417. You can also contact us online for more information!